Mother Juanita Russell, 89, of Peoria, IL passed away peacefully at 9:10 AM on Tuesday, March 19, 2019 at home surrounded by family. Mother Russell was born on February 26,1930 in Cruger, MS to Robert and Priscilla (Harris) Williams. On April 4, 1968, she married Elmore Russell and they shared over 21 years of matrimony before his death in 1989. Mother Russell leaves to cherish her most precious memories and her loving and devoted family which includes, eight sons; James Reed, Luther Ross Jr., Don Ross, Morris Ross, Norris (Regina) Ross, and Elmore Russell Jr. all of Peoria, IL, William Ross of Atlanta, GA, and Lee Ross of Flint, MI, three daughters; Doris (Charlie) Gordon of Mesquite, TX, Veatrice Allen of Springfield, IL, and Flossie (Leo) Johnson of Peoria, IL, one sister, Catherine Johnson of Peoria, IL, and two sisters-in-laws; Fannie Mae Williams of Peoria and Ruth Williams of Memphis, TN. Also surviving are 32 grandchildren, 34 great grandchildren, 5 great-great grandchildren, and a host of nieces, nephew, other relatives and friends. She is preceded in death by her parents, daughter, Priscilla Ann Ross, five brothers; Lee Harris, Charlie Williams, Reverend Nathaniel Williams, Reverend Willie Williams Sr., and Teotha Williams and two sisters; Amanda Howard and Desiree Cornish. Turning her life over to Christ at the age of 12, Mother Russell knew her calling. 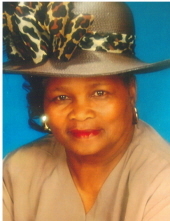 Under several leading pastors and current pastor Reverend Cleveland Thomas, she was a faithful member of the New Morning Star Missionary Baptist Church for over 70 years. She served on the Mother’s Board, church hospitality and senior choir. Outside of church, Mother Russell enjoyed sewing, fishing, and sharing her love of baking, which she was the Illinois State Prize winner for best cinnamon and dinner rolls. Mother Russell was a former employee of the Peoria County Juvenile Detention Center. A funeral service will begin at 1:00 PM on Wednesday March 27, 2019, at New Morning Star Missionary Baptist Church with the Rev. Cleveland Thomas Sr. officiating. Visitation will be from noon until the time of service Wednesday at the church as well. Burial is at Lutheran Cemetery in Peoria. In Lieu of flowers, memorial donations can be made to the church at 406 W John H Gwynn Jr. Ave, Peoria, IL 61605. "Email Address" would like to share the life celebration of Juanita Russell. Click on the "link" to go to share a favorite memory or leave a condolence message for the family.